This example show how to use JTable default editors to edit cells. We are going to extend DisplayableObjectTableModel abstraction to make JTable editable. Now let's see how to integrate these new features in our TableModel abstractions. 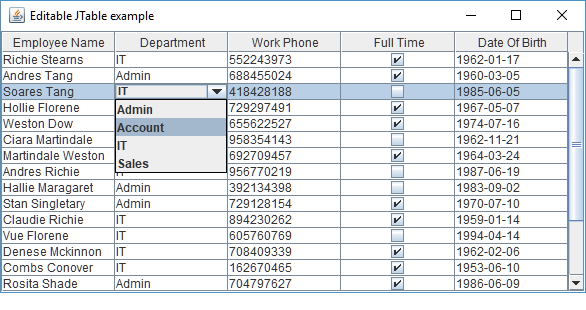 All columns except for 'Date Of Birth' can be edited and all rows except for those having 'Admin' department can be edited.